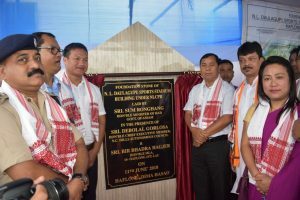 The present government at North Cachar Hills Autonomous Council under the leadership of Debolal Gorlosa on Monday celebrated its successful completion of two years of ‘progress towards development’ after taking charge of the office at the council. 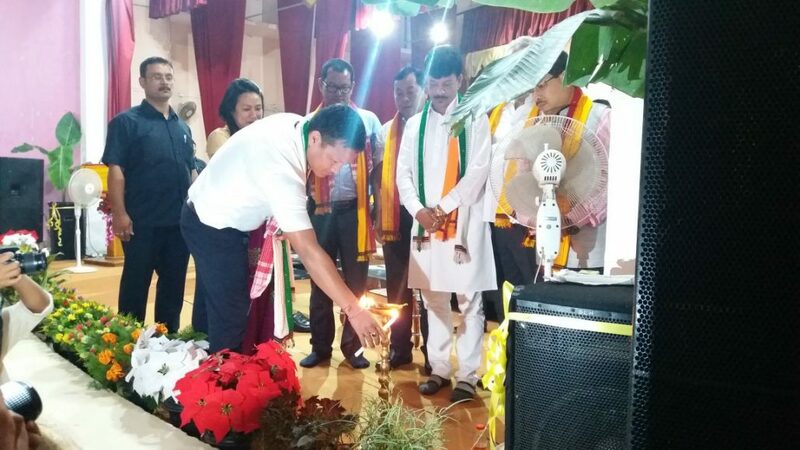 A programme, ‘Disha Pragaman’ was organized at the district library auditorium in Haflong on Monday with Sum Ronghang, Assam Minister for Hills Area Development, Mines & Minerals as the chief guest. The programme was also attended by Kishore Nath, MLA Borkhola LAC, Dr Numal Momin, MLA, Bokajan LAC, Joyram Englang , MLA, Howraghat LAC, local MLA B B Hagjer, chairperson Ranu Lagthasa, all executive members, MACs of NCHAC and MACs from Karbi Anglong Autonomous Council. 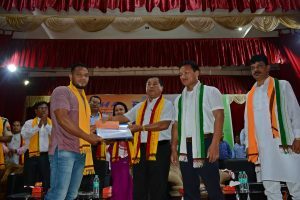 The CEM in his speech thanked the public and people of Dima Hasao for giving him the opportunity to serve for the development of the district. Narrating about the challenges after assuming the office as the CEM, his government prioritized to root out corruption and fund leakages that were meant for development purposes. Talking about the salary problems faced by the employees of the normal sector of the council, CEM Gorlosa said that his government is working on it in a priority manner and is confident that the salary issue will be permanently solved within two years approximately. Addressing the public, Gorlosa spoke on how he along with his team of Executive Members had personally visited markets at Haflong to check the illegal traders without proper documentations or licence. Various measures have been taken in order to increase the revenue of council such as implementation of dao tax, reassessment of the unrecorded occupation of land by NEEPCO at Umrangso, MoU with Assam Power Generation Corporation Ltd. (APGCL), introduction of Anti-defection Law for ensuring a stable governance at the council. Various others reformative works undertaken by the present government during these two years were thoroughly discussed in the meeting. The ten district toppers of the HSLC, three toppers of HSSLC from each stream were felicitated by the chief guest and other dignitaries as a part of the programme. 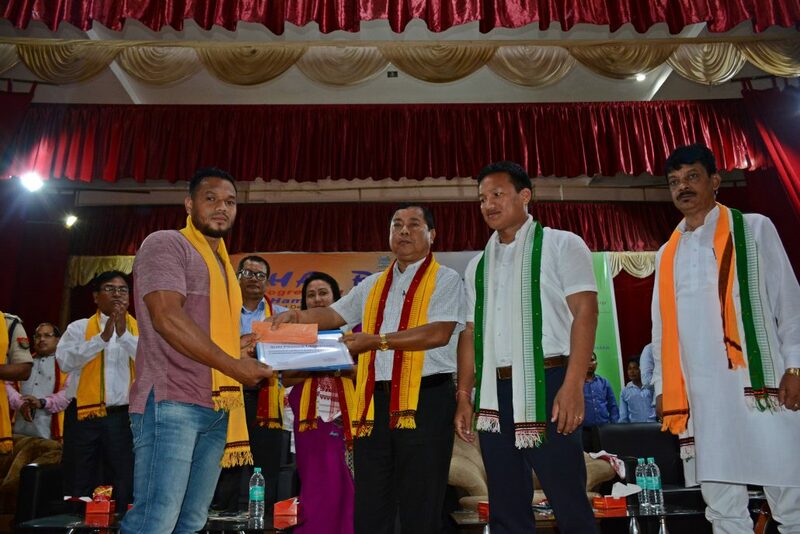 Pranab Langthasa was also felicitated for his latest achievement in the field of body building, who had emerged as top 10 in body building championship of NAC world 2018 at Cebu, Philipines. Various awards of achievements and appreciation were also given out to the health workers and the school head masters for their efficiency in their respective fields. Chief Guest Sum Ronghang also praised the good works and development activities taken up by the present government in this short span of two years under the leadership of Debolal Gorlosa. He further motivated that all endeavours taken for the council’s development will have full support from him as the Minister of HAD. It is to be mentioned that as part of his two days visit to Dima Hasao for the first time after taking up the ministership of Hills Area development, Sum Ronghan inaugurated a bridge near zero point approach road to Maibang town, Maibang circuit house, Jatinga Forest IB, NL Daulagupu sports complex.